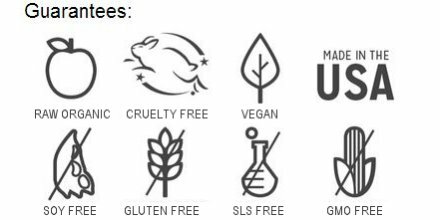 At RawSum Organics, all our cruelty-free products are made fresh each day, using only pure organic, vegan, food-grade effective ingredients. More is not always better, so for this product line, less IS more. Our RawSum 3Sum Basics work fantastic and are more robust with just the absolute essentials. You won’t find any synthetics or fillers -- just real food. That’s why they are safe for even the most troubled or sensitive skin. Our Back to Basics line has only 3 ingredients in each product and, of course, they naturally smell awesome — they work for the whole family! Why food grade? You are what you eat and, if you didn't already know, what you put ON your skin may be absorbed into your system. Your skin is the largest organ of your body and since it is porous, it can absorb what you put on it. Pretty important, wouldn't you say? What you won't find . 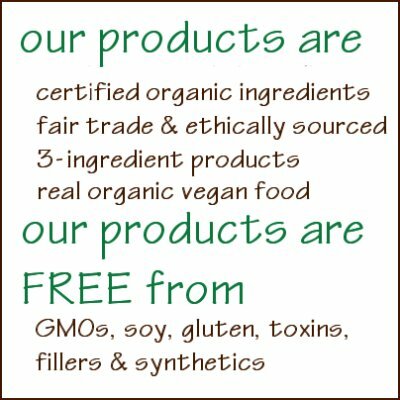 . . our products are FREE of any toxins, synthetics, fillers, chemical preservatives, colorants, soy, gluten, GMO, and animal products. One more thing . . . our new line features herbs infused in oils to get maximum benefits from real ingredients. Multiple advantages are gained through slowly infusing (soaking) edible herbs for several weeks, rather than using expensive essential oils. This helps keep costs down for you with the same benefits as essential oils. We are committed to using only high quality vegan oils, butters, and botanicals, giving you the same excellence you expect from our sister line, EdenSong Essentials! Want to know more about our process? Then be sure to check out our blog. We’re serious about our ingredients. That’s why we only use food-grade organics, so you can be assured all our products are healthy for you and the planet. Our commitment to creating the best and most potent products with the least amount of ingredients is unwavering. We also believe it is our ethical responsibility to get our ingredients through sustainable resources. It's a necessity, not a choice. Our ingredients are certified organic, food-grade organic, Fair Trade and, when possible, sourced from local family farms. So when you support us, you're also supporting earth-friendly "green" businesses in our supply chain. Our product packaging is eco-friendly, too!